Robotic Process Automation or RPA is the technology that allows anyone today to configure computer software, or a “robot” to emulate and integrate the actions of a human interacting within digital systems to execute a business process. RPA is capable of automating activities (by creating software agents) that once required human judgment. This is the evolution of automation: the automation of automation. RPA is basically the application of technology that allows employees in a company to configure computer software or a “robot” to capture and interpret existing applications for processing a transaction, manipulating data, triggering responses and communicating with other digital systems. Any company that uses labor on a large scale for general knowledge process work, where people are performing high-volume, highly transactional process functions, will boost their capabilities and save money and time with robotic process automation software. Just as industrial robots are remaking the manufacturing industry by creating higher production rates and improved quality, RPA “robots” are revolutionizing the way we think about and administer business processes, IT support processes, workflow processes, remote infrastructure and back-office work. RPA provides dramatic improvements inaccuracy and cycle time and increased productivity in transaction processing while it elevates the nature of work by removing people from dull, repetitive tasks. According to a report by Healthcare Leaders, three out of four hospitals and health systems CEOs cite reduction of overall cost and increasing efficiency as two of their top financial priorities. The healthcare industry is continually looking for improving efficiency, cutting costs and automation of manual tasks can be an important part of the overall strategy for performance improvement. In contrast to other, traditional IT solutions, RPA allows organizations to automate at a fraction of the cost and time previously encountered. Intelligent automation is entering the business world, and CFOs are happy because RPA is delivering the promised cost savings. However, cost-only value propositions are no longer attractive to top executives. They are looking for cost-plus value propositions(transactional plus judgment-intensive plus analytics). Global labor arbitrage, the disintegration of barriers to international trade or moving to where costs of doing business are low, is no longer sufficient. In this quest for greater cost-plus value propositions, technology plays acritical role. Health plans and providers are discovering software agents as a cost-effective alternative to enhancing or replacing platforms. The conversation has expanded beyond cost reduction to quality, engagement, and innovation. Healthcare is indeed one area where this technology is helping to streamline operations. 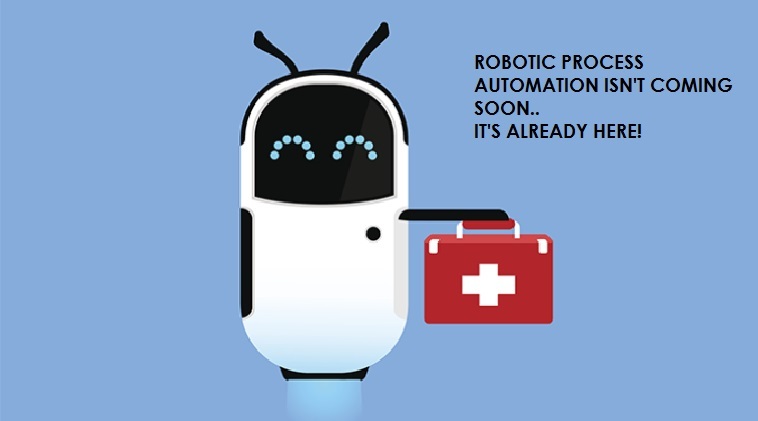 Robotic Process Automation has enabled those in the healthcare sector to shift manual, time-consuming and cumbersome work from humans to robots, thereby achieving positive results. This new phase of sourcing will engage and manage resources to shift workers from the mundane task to activities with deeper customer interactions. Health innovators are using robotics process automation to drive the next stage of transformation – at affordable costs. Evolution in technology and transition in a business environment constantly create more and more opportunities for the advancement and development of new software solutions that benefit the companies. We provide end-to-end software development services and solutions for any requirement of our partners and clients. Viaante’s team of experienced software development professionals understands the importance of completing the projects within budgets on time with high quality. Viaante is a HIPAA compliant HealthcareService Provider offering quality and customized services, which helps the healthcare firms in improving business process efficiencies, deliver superior customer service experience and boost their financial performance.